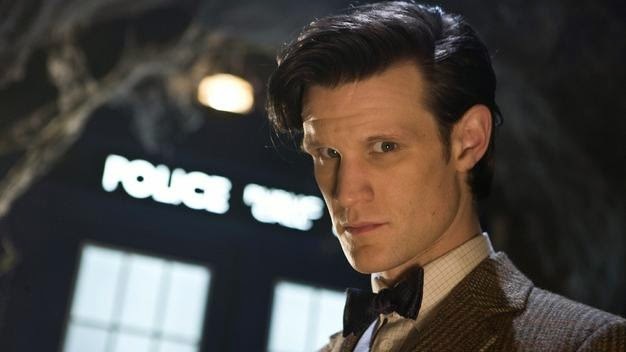 Here are six lessons that Doctor Who has taught me about being a dad. “Oh man? Is that actually the sound they make all the time?” That was my first impression of a Dalek. I’m fairly sure others have had that exact thought about my kids. The answer is yes, she makes that noise pretty much all the time – especially if you ask her to stop. 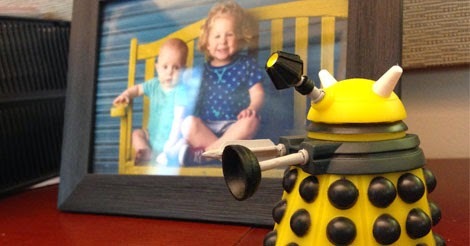 But, much like the Daleks, even though my children are short, stubby screeching creatures hell-bent on the destruction of the universe, given enough time they actually become strangely cute and endearing. We used to hate the Daleks, now we can’t wait for the episodes that feature them. 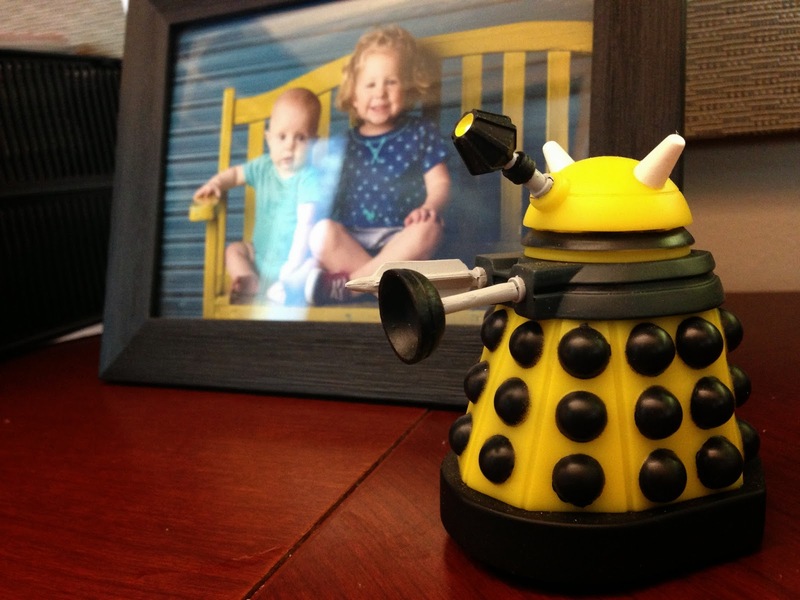 Stevie even has a little Dalek on her desk at work. In fact it’s right next to a picture of our toddlers! Upon first glance the Weeping Angels aren't very scary, but turn your back on them, close your eyes for a single moment (even to blink) and everything goes to hell. Sometimes I blink. And sometimes my living room is suddenly awash in cheerios. Or an entire roll of toilet paper has been unrolled into the toilet. Or my son has determined that the couch had chapped lips and decided to help it out by smearing an entire tube of Chapstick on it. Sure, not as bad as having your potential life energy consumed… but still pretty bad. Lesson #1: The Doctor lies. He’s not malicious about it. Some truths have consequences. The Doctor does his best to think about those consequences and distribute enough truth to mitigate any bad outcomes. Does this always work? No, of course not, but he does his best. I’m not always 100% honest with my kids either. I dole certain truths out in palatable doses. We play the Santa game. Death is still a pretty abstract concept. My daughter may or may not think I can lift a car over my head and jump into space. Also, she may think I am Batman. And monsters eat kids that don’t brush their teeth. OK… maybe I shouldn't lie so much. You really shouldn't lie so much, John. Kids pick up on that stuff. Every once in a while the Doctor dies - almost. His death is generally preceded by an epic battle resulting in a monumental moment of selflessness and self-sacrifice in a successful campaign to save the universe. Then, golden light shoots out in every direction and the Doctor regenerates with a new face, a new personality, a little older (his mind, not necessarily his body), and a little wiser. I have to admit, there have been a few times over the last four years that I have felt like I was at the end of my rope. Money has been tight. The world feels too big. I start feeling overwhelmed. The pressure reaches its peak, responsibilities come tumbling in, and I go to bed a failure. Then something amazing happens. I wake up the next day. I walk into my kids’ room, pick them up and hug them. I wrap my arms around their tired and quiet frames, bury my face in their hair and recommit myself to the lives that I helped make. There are no rays of golden light, and I haven’t saved the universe through self-sacrifice, but I am reborn all the same – always a little older and hopefully a little wiser. In some ways, the TARDIS is my favorite character on Doctor Who. It’s not just a blue box. It is a living sentient being. It is the heart of the show. It travels in time with the Doctor. Often, it guides him where he needs to go, and it is much, much bigger on the inside. Of course I was wrong. Love is not a finite resource. It is infinitely replenishable, and my capacity to feel it and share it with others is much bigger than I had ever imagined. Just like the TARDIS, I am bigger on the inside. And just like the TARDIS the real magic isn't only that I’m bigger on the inside, it’s the realization that having a bigger inside helps me love so much more of what is outside. The TARDIS opens up space and time for the Doctor. My love for my family makes me feel the same way: powerful, humble, and responsible for so very much. Want more warm-hearted parenting silliness? Don't forget to like the Ask Your Dad Blog Facebook Page! 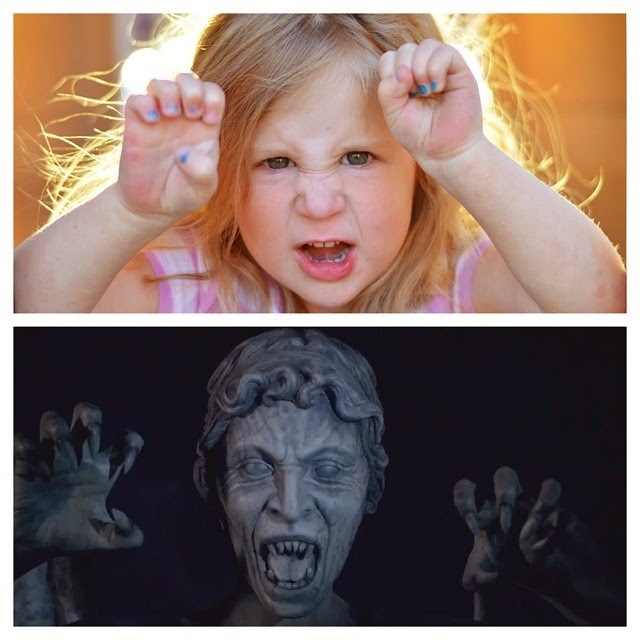 We can talk more about how much we love Doctor Who... or other fun parenting related stuff. Whatever. You pick. My wife is a huge Dr. Who fan and I am a huge Ask Your Dad Blog fan. This post has touched our Tardis-like hearts. Those little Daleks! LOL Love this post. So funny and so sweet. Awesome! I can't believe I missed this a couple of weeks ago. 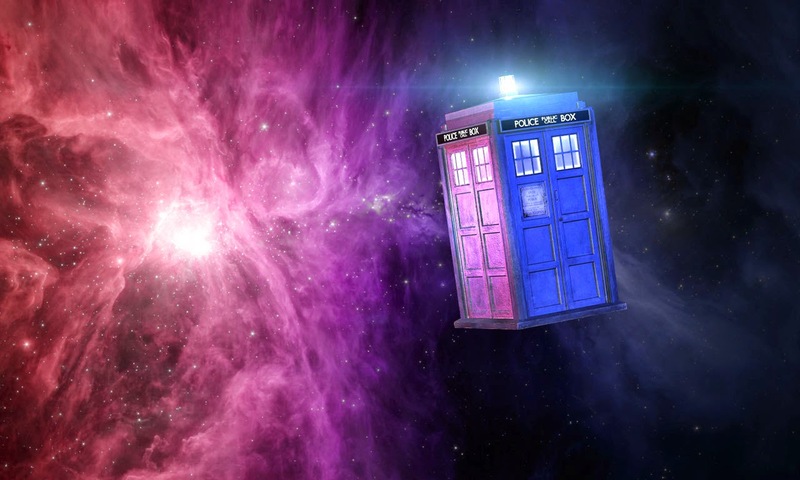 I'm a huge Doctor Who fan and in honor of the new season I wrote a post myself about the similarities between the TARDIS and babies.